The big picture: Yahoo knows a thing or two about creating successful messaging clients, having authored one of the most popular instant messaging programs in the late '90s. Can it replicate that success in the modern era with Yahoo Together? Yahoo didn’t stay away from the messaging arena for very long. After shutting down its legacy instant messaging client Yahoo Messenger over the summer, the Internet pioneer is back with a new messaging service featuring a more modern slant. 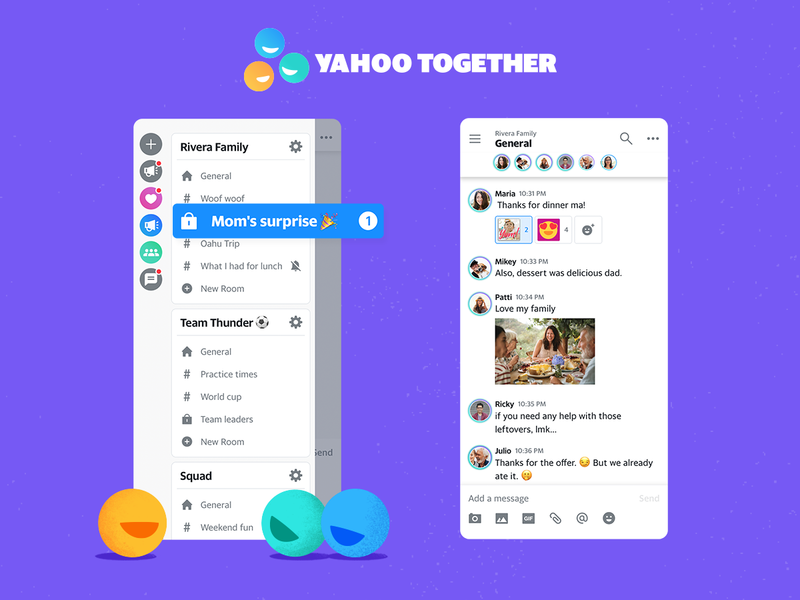 Yahoo Together is more of a Slack competitor than an AOL Instant Messenger rival. The app was built by the same team that developed Yahoo Messenger and was beta tested earlier this year under the codename Squirrel. Yahoo Together is all about mobile chat, allowing users to easily group conversations into categories to keep better tabs on everything. It’s meant to be a practical alternative to group SMS threads that can quickly get cluttered. Like other group messaging apps, you can share photos, GIFs, links, reactions and so on with other participants, search existing conversations to find what you need and mute notifications when you don’t want to be bothered. You even get a handy Smart Reminders feature to send reminders to the entire group at a scheduled time. Yahoo Together is out now for Android and iOS. No word yet on whether or not a desktop app or web version will eventually be offered.